Standard Bank has a 151 year history in South Africa and started building our Sub-Saharan Africa franchise in the early 1990s. We currently operate in 18 countries on the African continent, including South Africa, as well as in other selected emerging markets. The three main pillars of business are Personal & Business Banking, Corporate & Investment Banking, and Liberty. 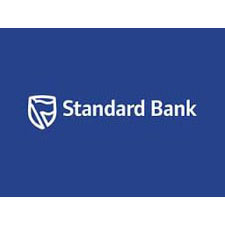 Standard Bank Group is listed on the JSE Limited and the Namibian Stock Exchange. Normalised headline earnings for 2012 were R15 billion ($1.8 billion), total assets were over R1 549 billion (approximately $183 billion) and we employed approximately 49 000 people (including Liberty) across all geographies.